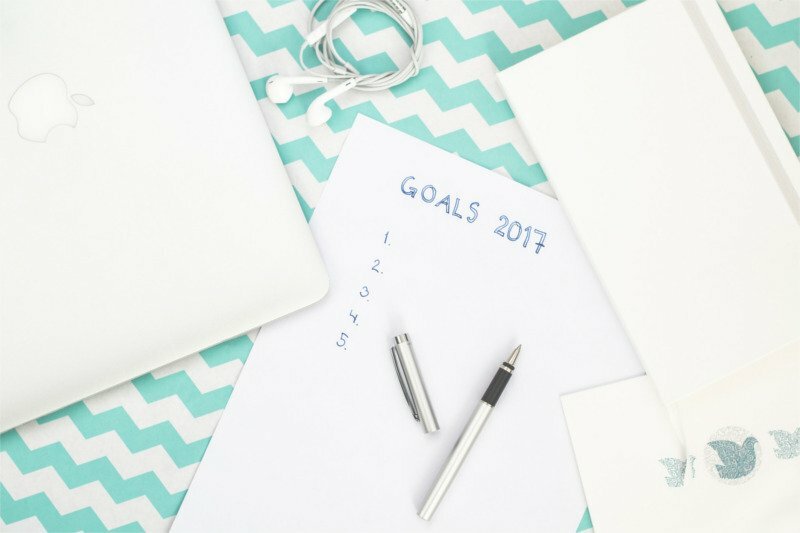 Don’t Make New Years Resolutions… Set Goals! At the start of 2017, we find ourselves in a rather peculiar world. Britain is about to leave the EU, Donald Trump (and his immaculate hair) is about to take his place in the Whitehouse, and North Korea moves closer to becoming a very real threat. With all this going on, you might not have put much thought into your new years resolutions, and might be more focused on building that nuclear bunker at the bottom of your garden. If however you are slightly more optimistic about us making it through the year into 2018, it might be something you’ve considered. New years resolutions sound like a great idea in principal, but if you ever try to have a conversation about “new year, new me” with anyone, you might find some ill-concealed eye rolling and an excuse that they have to leave suddenly. This reaction isn’t unjustified though, as most people who make these big plans of turning over a new leaf never follow them through. In fact, some statistics show that 40% of people don’t keep things going for even a month, and 80% of people don’t make it past 3 months! So how do we improve this? Well rather than making ‘resolutions’, you should set goals. This might sound like semantics, but if you have clearly defined goals that are well planned out, you are much more likely to achieve them and stick with them in the long-term. At this point you might be reminded of the lesson at school (you probably paid no attention to) about SMART goals. Hopefully if you’re now a fully grown adult, and have got this far through the article, then you should be in a good position to benefit from a refresher. This refresher comes with an update however – an extra two letters.. making your goal setting SMARTER! The more specific you make a goal, the more focused you can be towards achieving it. For example, if your goal for this year is to lose some weight, rather than just having the general resolution to ‘lose weight’, give yourself a target number that you want to achieve. By making a goal specific, it should start to make you quantify things. If you choose a specific goal such as losing two stone, this is easily measurable using scales. If your goal is to achieve a personal best in a marathon, your training diary and stopwatch are good ways to measure your progress. Now you’ve decided on a goal thats got a specific focus, and you know how you’re going to track it, you need to consider if its achievable. For example, setting a goals of saving a billion pounds by 2018 might not be realistic. On the flip-side however, if you just set the goal of putting aside £100 into your savings by 2018, is that ambitious enough? Try and think of a goal that is both achievable and ambitious. Ok, this one sounds pretty obvious, but the goals you set must be meaningful and important to you. Making sure that you choose a goal that you know will improve your life or give you great satisfaction or happiness is a sure-fire way to motivate you towards achieving it. For example if you’re someone who doesn’t like to travel abroad and never has the need to speak any other language, choosing to become fluent in french might not be too relevant to your lifestyle. Giving something a timeframe or deadline I think is quite closely linked to making something specific. Having a deadline also means you can then start to break things down into smaller chunks to help you plan how you’re going to get there. For example if you want to achieve that goal of weight loss by the end of 2017, you can start to think how much you might want to achieve on a monthly basis to get to your final destination. Evaluating your goals is an important step to making sure you stay on course. This isn’t just something you do at the end, but something you must continually do as you go along. One good way to do this is to be accountable to someone other than yourself. For example having a friend check in on your progress and giving you feedback is a great tool. Knowing you have to tell them how things are going and not wanting to disappoint them might give you the a kick up the backside to push forward if you’re starting to slack. Revising your goals isn’t cheating. If you’ve evaluated things and you can see that the goal you set just isn’t realistic (not achievable) or that you’re going to smash it way before the time you set (not ambitious enough) then adjusting things will mean that you don’t just give up completely if it’s too hard, or will keep pushing forward to bigger and better things if it’s too easy. As a physiotherapist, setting goals is something I do the vast majority of the time when I see someone new. I find trying to apply all the above criteria helps both in my treatment plan, and help the person I’m treating stay motivated. If we both know for example that we’re trying to get them back to running 10k races within the next 3 months, then working to that target makes things more positive. Applying the above criteria is also helpful if I need to adjust someones expectations; they might have a goal of getting something better in a week, but if that isn’t realistic then explaining recovery times and agreeing a more accurate timeframe can help avoid unnecessary frustration and disappointment.